If you have ever wondered if there is really anything to the concept of home court advantage all you have to do is look at the Boston Celtics. Whenever they’ve played at home during the postseason, everything has worked out for them. On the road—not so much. 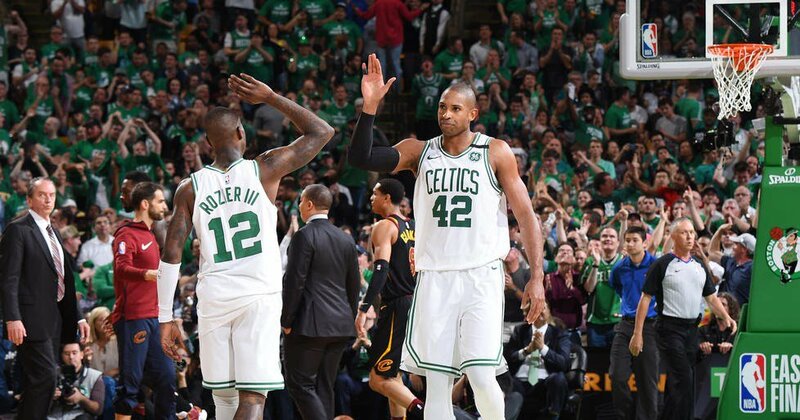 After losing Games Three and Four in Cleveland, they returned to Boston for Game Five Wednesday night hoping to take a 3-2 lead in the Eastern Conference Finals. From the start, there was little doubt as to how the game would end. Boston shot out to an early lead only to see Kevin Love go on a scoring binge to give Cleveland a 12-9 lead about midway through the first. But then the Celtics responded with a 10-3 run to take a 19-15 lead with 3:38 to play. Then a 13-4 run in the final minutes of the quarter to stretch the lead out to 13-points, 32-19. The Celtics extended the lead further in the second but then saw the Cavs go on a 12-3 run to get within eight, 39-3, with just under seven minutes to play in the half. The game remained competitive the rest of the quarter. At the half, the Celtics held the lead, 53-42. An eleven-point deficit is nothing when you have an entire half to overcome it. But if the Cavaliers were going to do it, they would need to come to life in the second half—especially LeBron James. As it turns out, it just wasn’t in the cards. The Cavs were only able to get as close as nine points in the third quarter. But they were down by as much as 15 as well. Whenever they’d appeared to be poised to make a push, the Celtics would just find a way to shut them down. Cleveland had a couple of shots in the fourth, but they were never able to get within single digits. Boston went on to win 96-83. 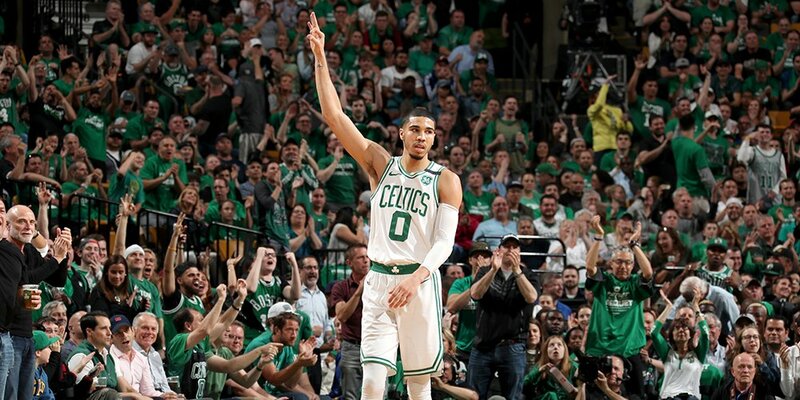 Jayson Tatum led the way for the Celtics with 24 points and seven rebounds followed by Jaylen Brown with 17 points. Al Horford chipped in a double-double with 15 points and 12 rebounds. LeBron James led the Cavaliers with 26 points and ten rebounds. As is often the case, he got almost no help from the rest of the team. The other four starters, led by Kevin Love with 14 points, contributed less than that (24 points). He will not have much time to recharge his batteries. James and the Cavs will be facing elimination when the series goes back to Cleveland. Game Six will be Friday night with tipoff at 8:30 PM ET.